Wilfred Barwell Holroyd was born on 21st March 1916 in Birmingham. He was awarded Aero Certificate 14175 at the London Aero Club on 29th July 1936. His occupation was recorded as ‘Aeronautical student’. He joined the RAFVR about April 1937 as an Airman u/t Pilot. Called up on 1st September 1939, he did not take the usual training course but appears to have served with 81 (Communications) Squadron in France, flying Tiger Moths. The squadron was withdrawn to Andover in May 1940 and was disbanded there on 15th June. Holroyd joined No. 37 Course at 3 FTS South Cerney which began on 11th July 1940, but he was transferred to No. 35 Course for advanced training only. 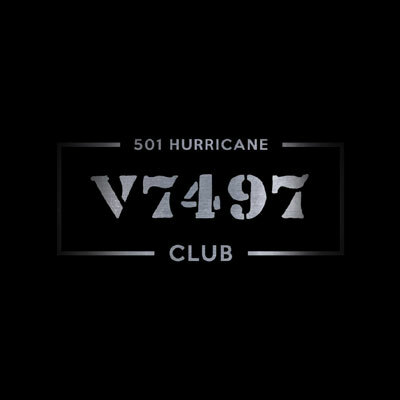 501 Squadron – He arrived at 6 OTU on 31st August 1940 and after converting to Hurricanes was posted to 151 Squadron at Digby on 21st September. 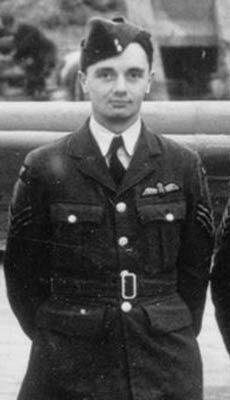 He moved to 501 Squadron at Kenley on 19th October 1940. He ferried one of three Spitfires from Exeter to 501’s base at Colerne on 24th April 1941, the start of the squadron’s re-equipment. Holroyd also had the squadron’s first Spitfire accident, when he made a belly-landing in R7141 on 15th May with undercarriage trouble. On 24th July he damaged a Me109 over Brest. Commissioned in July 1941, his subsequent service is currently undocumented until he was released from the RAF in 1946 as a Flight Lieutenant. Holroyd died in August 1996 in Bedford.